Another great postcard image on eBay, so we're helping to spread the word. Bid on it here. Here's the view today, courtesy Google Streetviews. 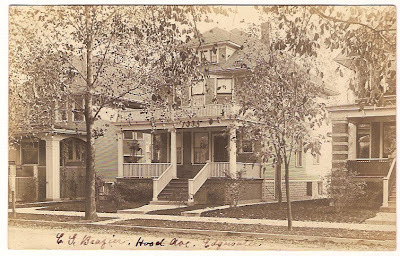 Each of the three houses from the original photo has had its front porch enclosed sometime over the decades.